In today’s competitive, tight, and cut-throat business environment, many companies depend on third party logistics (3PL) for their supply chain management in order to reduce costs, improve efficiencies, and ensure smooth operations of their distribution and fulfilment service requirements. To deliver value and thrive within a difficult market, 3PL providers need to align closely with their parent businesses in terms of mission, vision, and goals. As the relationship is so significant, most big businesses have well-defined 3PL processes, systems, quality standards, performance, criteria, and best practices already in place and regularly keep a close eye on operations. In fact, most business are keen to look to partner with vendors who will align and integrate with their own processes and practices. Thus, in a totally aligned relationship, the supply chain “shadows” the processes of the parent company and replicates the parent company’s processes, adheres to their standards, mimics their operating models and becomes an “extension” of the parent company. It is even true to say that they may become fully embedded into the parent company and a “well-coordinated arm” of the parent company. As this relationship requires careful selection many parent companies have strict and stringent supply chain selection criteria, which they use to screen their supply chain partners. In some cases companies may also train supply chain providers in their best practices and operating procedures to ensure that the vendors understand their business priorities and their own way of operating. Some companies also craft a strategic plan for the alignment and for the relationship, describing the capabilities that they wish their partner supply chain to develop at different stages of the relationship. These capabilities could be operational, technological, or behavioural. In order to maintain a sound relationship it can help to carefully define the work flows at the parent-supply chain interface as well as specific goals, outcomes, and expectations. It may also be beneficial to define the responsibilities of the parent company and that of the vendor that may include responsibilities for effort, for job, for the entire system, and for business outcomes. Sharing performance benchmarks and baselines with the supply chain vendor and of clear unambiguous expectations can also help both parties understand what is expected in terms of performance. Aligning may also entail integration with a company’s web servers, applications and electronic data interchange standards. This allows for seamless information flow and exchange and utilisation of information between the parent’s business and the supply chain. 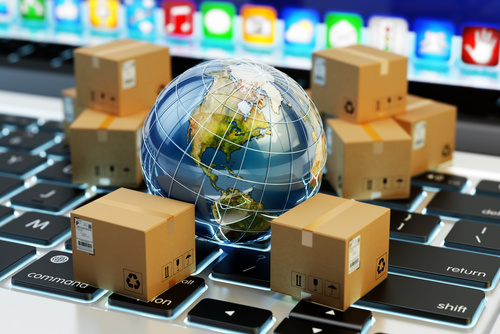 Such an integration would allow a 3PL partner to use this information to track and trace shipments and direct this information to the parent company’s website; thus, providing customers with the vital information they need as well as helping to improve customer satisfaction. Of course, there is the obvious check on physical integration, which ensures that the 3PL has the capabilities to manage the business in questions. Here, some internal questions to be answered could include: “What modes of transportation and what services will you [the business or parent company] need?” “What volumes do you plan to ship and where?” “Do you have specific security or visibility requirements?” and “Are your shipments time-sensitive?” Though these are basic questions given the nature of the business they will be able to filter many potential 3PL providers, which may not be suitable. Also, the 3PL should be capable of matching the specific needs of the business. Many providers have a variety of strengths and weakness and it is imperative that those most closely aligned to the business’s requirements are at the forefront of its strengths. If the business relies on door-to-door deliveries, intra-warehouse, or last-mile, it is important to understand that the 3PL is on par with this and its strength lie in a particular area. Additionally, it may be necessary to check on the number of modes the 3PL provider actually has and utilises. The four common modes – rail, road, sea, and air – may be a given on paper by a 3PL but it is wise to ensure that the inter modal services being offered have the right size or fleet as well as hands-on experience to be properly handled. Further, businesses must undertake thorough research about possible 3PLs prior to confirmation. Reputation, reliability, and responsiveness are key, especially in the logistics and supply chain arena. Also, businesses may opt to review use cases or examples within various scenarios to confirm the handling of specific situations by 3PLs. There must also be a cultural fit and the agreed recognition and understanding of the appropriate protocol, procedures, and hierarchy cannot be understated. Finally, though clearly a given many businesses fail to check a 3PL’s customer service record. Given the scope for disruptions across the supply chain, the crisis management capabilities or the reputation of the company needs to be maintained and carefully managed. To this end it is paramount that the 3PL knows the plan of action, can ensure regular flow of goods or services, and does not lose control during a crisis. As businesses rely more heavily on 3PLs getting the right fit to align with both business needs and present-day demands is not an easy feat. Many partnerships have failed, especially when a business has recently moved from one party to another. In this regard and given the high demands on the relationship, both parties need to be on the “same page” prior to any business commitments. With reduced costs and improved customer service being key in the high-contested logistics marketplace, both businesses and 3PLs require a synergy that can be secure, reliable, and potentially long term. There must be clear and concise dialogue prior to and during all negotiations in order to determine the most apt working relationship once a final agreement has been determined as any hurdles or obstacles cannot be easily overcome “on the field”. It is evident that today’s customers are fickle, brand agnostic, and ruthless, especially with a mobile in hand and social media apps awaiting comments, tweets or posts. Businesses and 3PLs must work together to create a harmonious working environment for each other as well as for their collective customers. For businesses, border restrictions are no longer a hindrance as they can sell products and provide services anywhere in the world. Globalisation also allows for purchases across nations where materials are required from one country to another. Coupled with the growth of ICTs is the development of more efficient and speedier transportation systems as well as reduced costs of travel and transportation. Thus, it is, in essence these factors as a whole that have led businesses to adopt global supply chains. However, for local and global supply chains there are both advantages and disadvantages. Local supply chains benefit from knowing the realities of the country they operate in and so are better able to negotiate the dynamics of the politics, economics, and markets and mitigate risks. By knowing the language and the language of the business they have access to local experts and face fewer communication problems. This is underlined by intercultural communication within businesses as there is already a strong relationship in place due to the sharing of a common language. Economically, local supply chains do not have to face trade barriers as impediments as well as changes within business laws in another country. Also, transfer prices are all in the same local currency and there are no differences in taxes or duties. Given the use of a single currency there is no scope of facing the challenges of fluctuating exchange rates and related transfer prices. However, the disadvantages are that they may not always be able to provide the cheapest resources or materials and face barriers of distance and geography. Thus, by having access to a global pool makes it easier to source better, affordable, or quality products and services from a larger market. Likewise, global supply chains face specific advantages and disadvantages as well as some critical risks. First, they can source raw materials and components from wherever is cheapest or most conducive globally, and thus, become more competitive in the worldwide market place. In this regard, it is evident that the manufacturing sector was a first mover in taking advantage of this phenomenon. However, global supply chains are vulnerable to disruptions and risks. Disruptions can have significant impact on the performance, profitability and fortunes of a business. For example, in 2000, the large network and telecommunications company, Ericsson, lost more than 400 million euros when a fire broke out at a factory where Philips produced semi-conductors that were also used for Ericsson phones. Similarly, Apple lost many customer orders after an earthquake hit Taiwan in 1999. In terms of risks there are two types: environmental and organisational. These include natural disasters, hurricanes, earthquakes, tsunamis, etc. For example, the Kobe earthquake in Japan in 1994 impacted, amongst others, a California-based sound-card maker Kelly Micro Systems, causing a shortage of components, which resulted in disruptions in production and loss of revenue. The Florida hurricane in 2004 caused huge shipping failures in the state impacting companies in Asia and triggered large losses. In 2016, climate change resulted in the damage of coffee crops that Starbucks was heavily dependent on causing much disruption in both production and sale. Given these issues, the transport and logistics parts of the supply chain are most vulnerable to natural disasters as ships, planes, and road links can easily be disrupted. More recently, environmental risk also includes terrorism. Thus, deteriorating political relations between countries or political instability, change of regimes, etc., can also interfere with the free flow of goods and trade between countries and cause supply chain disruptions. For example, Deutsche Post stopped delivering to Ukraine in 2016 due to political instability in the region. This impacted 620 German companies in the Ukraine. In Turkey, the attempted coup in 2016 exemplified how vulnerable global supply chains can be to political upheaval. Without a stable government, supply chains will always experience problems at borders and check-posts. Environmental risk also includes market risks. Shortage of skilled manpower in labour markets such as a lack of truck drivers or transport staff striking over wages can heavily impact the supply chain. As supply chains become more globalised the number of link parties involved not only increases but the geographical distances between the primary company and the links makes it difficult to control and coordinate. Also, it becomes difficult to ensure compliance to norms, standards, and practices across geographical distances as well as across organisational boundaries. Finally, there is a greater chance of theft, fraud, pilferage and other such risks within global supply chains given the larger number of players involved and the relative opacity of each step by the other. 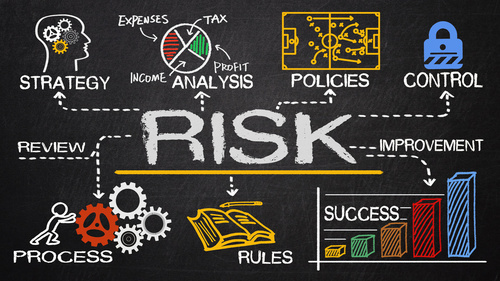 These include risks within the boundaries of the organisation or supply chain such as the uncertainties of labor, of technology dependence, infrastructure dependence, and the integrity of the link parties in the supply chain. For example, the grid blackout on August 14, 2003, in the northeast region of the United States that significantly affected performance, is a prime example of this. Further, if any link party or vendor becomes bankrupt or closes down, this would adversely affect the entire supply chain. There are also interactions and relationships between the organisation and the supply chain. Dissatisfaction over relations and interactions could result in less than optimal performance, lack of cooperation, or even conflict that could adversely impact supply chain performance. Between local and global supply chains the risks are fairly similar. However, global supply chains tend to experience a higher degree of risk due to the numerous links between the wide network of parties and firms involved. Third-party logistics or 3PL Outsourcing, is an option exercised by a business, wherein parts of its distribution and fulfilment services are outsourced to a third party. This can occur for a number of reasons including outdated facilities and warehousing systems, as the business does not have the internal capabilities internally and could be experiencing a reduction in efficiency, an increase in time and costs, as well as a decline in customer satisfaction. Such ramifications could lead to the competitive advantage of the business, its market share, brand reputation, or profitability being diminished. Thus, to stem the tide, businesses have had to look for external solutions. In other cases, businesses may have set-up in foreign markets and need to globalise their supply chains to better serve their customers. However, in such instances, being able to completely owning their own supply chain could be prohibitive and an entry barrier into certain global markets. Here, businesses require 3PL support to bridge the gap. However, businesses do not always have to outsource parts of their elements to third parties. Another method could be that of vertical integration, wherein a business invests in developing and owning some of the sections of the supply chain. This can be exemplified by the Ford Motor Company, which owns forests and steel mills. Another option businesses could use is to franchise the supply chain, which provides relatively tight control and integration over the system rather than outsourcing it entirely. 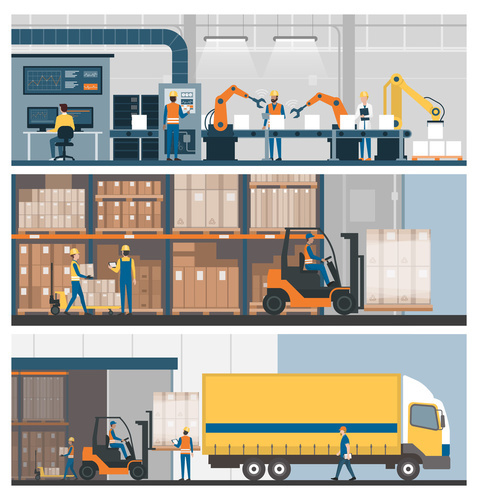 3PL vendors typically provide services such as contract warehousing, packing and distribution services, transportation management, and freight and inventory management. Here, it is up to the business to analyse the areas where vendors are required and plug the holes as they best see fit. There is also the relationship between businesses and vendors as many businesses are keen to look to vendors who can align with their goals and objectives, processes, standards and performance, and quality parameters. Such parameters can even be in the form of an economic contract or agreement between the two businesses though it has the risk of allowing vendors to exit the contract as they deem fit. Thus, depending on the business, its health, performance, market positioning, services, and many other factors, the decision to outsource to third party vendors almost always remains a strategic one. In this regard, there are a number of considerations that businesses must address before entering into such a strategic decision. Transaction costs are always at the heart of the decision to ‘buy’ or to ‘make’. Here, costs can boost overall, long-term growth or help entry into a new market. Performance and predictability of performance is another criteria. Businesses are likely to choose those 3PL vendors who offer efficiency in planning, adapting, and monitoring, i.e. where performance is predictable and risk is minimised. Value addition is another consideration. Businesses are keen to partner with those vendors who add value through embedded knowledge such as competitor behaviour, deep-domain expertise, and market understanding as well as certain unique capabilities. However, such capabilities or value additions are only ‘order getters’ and not ‘qualifiers’. The day-to-day ‘qualifiers’ for 3PL vendors still remain delivery reliability, speed, and price. However, price may not always be an incentive for businesses. A sudden price drop could arouse doubts and reveal larger problems within a vendor’s functional area or core capabilities. Further, a 3PL vendor’s IT capability is another significant area that businesses may examine within their own decision-making process. As IT is seen as an enabler to reducing costs, supporting innovation and service quality, it is a core area of scrutiny. Another area for businesses is the ease of interaction or customer relationship. It is evident that positive and trustworthy customer interaction goes a long way and businesses tend to stay away from vendors who have been known to be ‘difficult to deal with’. Positive dealings could include taking responsibility for notifications about likely delays or identifying parcels that were late, or informing customers in advance along with the reasons for the delay. In today’s highly competitive market, customer satisfaction is paramount and businesses require a vendor who will ensure that delays are minimal, are clearly stated, and can even go the extra mile when systems break-down. Of course, vendor size is also important. Here the capacity, scale, and reputation come into play. Depending on the nature of the business, companies may opt to choose larger or smaller players within certain markets. This, once again, depends on the business’ own situation within its growth and development cycle. Finally, there is also the capability for innovation as another option for the selection of vendors by businesses. Innovation is seen as a significant value add and a great customer satisfaction elevator. Here, vendors known to be flexible, unique, or standing out within markets may well be viewed positively, especially where there is less freely open information. However, despite these factors there are still challenges in the strategic decision-making process for businesses looking to partner with third parties. Some of these include unreasonable and unrealistic expectations from a buyer. For instance, customers may have unrealistic (and unreasonable) expectations that 3PL providers may have the effect of reducing their annual transportation expenditures by 50 percent. Though this is factually incorrect this perception must be addressed before a deal is struck. Not doing so could lead to severe consequences going forward. In the end business must internally decide whether to opt to use 3PLs. This depends on their own growth strategy, vision, functionality, costs and market forces. Once a decision has been made however, there may space to nurture the partnership given that the right-fit provider has been sourced. To do this there must be clear and transparent communication between both parties, an assessment of ground market realities, and a clear understanding of each other’s capabilities. Of course, the relationship is key and businesses function best with both sides working together and collaborating closely – and in the area of logistics, distribution, and fulfilment, this requires even closer examination. 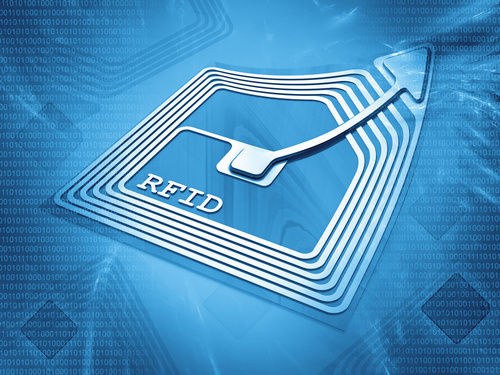 As an efficient and effective method of tracking items and transferring data, it is not surprising that RFID (radio frequency identification) has gained prominence across several industries, though more notably within warehousing. As demand for warehousing has increased, many businesses, globally, but specifically in the US and Canada, require services ranging from brief import housing to long-term storage of their products. Over time and through technological advancements, businesses have required additional tools to deal with increased customer demands. Previously, barcodes were used within warehouses. These helped to tag, dock, and store stock and barcode readers were used to identify stock that came in and went out in a structured and organized manner. This worked well when single sources came in as barcode items were individually scanned one at a time. However, this was still a labor-intensive and time consuming task and required a significant amount of paperwork, tracking, and could easily lead to mistakes. As warehouses grew in size, reaching up to many thousands of square feet of stock and storage space, the use of barcoding became less feasible. Coupled with this was also the increased competition within the sector as well as the rise of more discerning customers who demanded immediate benefits with less thought about loyalty. Businesses had to adopt to address speed, delivery/time, and cost, especially within their just-in-time inventory. Additionally, the cost of labor was also rising and was error-prone. Thus, a new and improved technology was the need of the hour. This is very beneficial when dealing with multiple functions such as order-picking and receiving, pick-and-pack sorting, distribution, trans-loading, promotional packing, and cross-docking. Of course, such technology can enable many varied uses and also helps to reduce time, improve real-time data accuracy, and lessen the burden on human labor involved. In terms of direct use, active RFID tags are typically used for “large assets, including cargo containers, rail cars and containers that are transported over long distances.” Passive RFID tags, are less expensive and require less maintenance though lack power sources and transmitters, ensuring their use is more limited. The benefits of RFID within warehouses are significant. With their use, stocks can now be tagged through RFID portal readers all at once rather than individually. This is a huge bonus as it can greatly reduce time and effort and improve efficiency and accuracy, owning to the exclusion of manual processes. Further, stock can now be tracked and monitored not only within the warehouse but anywhere across the supply chain, in any location. Further, along with web tools and information about stocks, inventory can be made available in real-time and 24×7. Another significant advantage is that RFID can be integrated with any warehouse management system that has already been deployed or is currently in use. This means there is less time and effort spent in updating or upgrading to a newer technology and limited lag-time in terms of business processes. As mentioned earlier, RFID use also provides a much higher level of accuracy as well as an immediacy of information of inventory levels. This means that decision-making concerning replenishment of stocks can be taken with less planning and ‘on the fly’. Also, other decisions can be taken to improve the storage capacity utilization of a warehouse so as to ensure better efficiency and to improve profitability. Due to the tracking and ‘smart’ advantage, RFIDs can help customers track and follow their goods’ journeys in real-time. Such web-based RFID systems can provide this information and help improve customer satisfaction levels. This is especially critical when precious, high-value goods are stored and being transported and can greatly help to reduce and alleviate the associated risks. Given that the monitoring process is so clear the possibility of theft can be diminished and a safer passageway of transportation could be cleared. Finally, for both labor and cost there are clear gains given the fact that inventories can be leaner, thus, improving savings. The introduction of RFID tags can also help reduce labor costs, given that the manual work of barcode entry has been removed and humans can focus more on specialized tasks within the warehouse rather than solely on the scanning of each and every item. As demonstrated, it is evident that RFID tags have revolutionized the warehousing sector and have pushed the associated technology further into the mainstream. 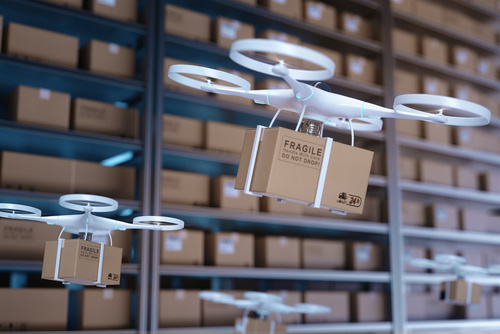 Given the impetus they have provided many businesses are now looking at newer ways of using employees for more specialized tasks within warehouses, which cannot be replicated by technology. Thus, the introduction of technology within the warehousing sector is also playing a role in creating a human revolution within the workplace. With an increased emphasis on being environmentally-friendly, many governments have reviewed their approach and have moved further in this direction. In the US, cities like Washington D.C (tax on plastic bags), San Francisco (complete ban on plastic bags), and Boston (tax and ban on single-use bags), have implemented their own laws. Around the world, Kenya, Chile, UK, Australia, and China have also enforced their own rules. Additionally, India enforced a ban on single-use plastics in July, 2018. Most plastic bans include: PE bags, disposable plastic cutlery, disposable thermocol items, plastic wrap used for packaging and storage, non-woven polypropylene bags, plastic pouches for storing liquid, plastic packaging for food items, and plastic and thermocol decorations. It has been determined that these plastics are the most harmful for the environment as they clog water bodies due to improper disposal, lead to ground water pollution, and disturb soil microbes. With more and more countries adopting alternatives to plastic, the use of paperboard packaging has been gaining further acceptance. This has also been driven by a retail boom and the introduction and increased use of e-commerce. It is also important to note that paperboard packaging is consumer-friendly, provides excellent product protection, is lightweight, easy to transport and stack, and significantly easy to dispose of. However, the underlying and important aspect is that paperboard packaging is bio-degradable. Given this it is no wonder that the paper packaging market is growing at a rate of 7.5%. In fact, industry estimates suggest that Amazon and Flipkart — top two players in the $17-billion ecommerce sector — consume between 1,200-1,400 tonnes of paper that goes into making boxes and printing bills. For other large organizations such as Swedish furniture company IKEA, the switch-over to paperboard has been undertaken very quickly. And, as it is clear, the effects of paperboard packaging replacing plastics can greatly reduce climate impact, businesses are climbing on the sustainable bandwagon to underline their positive appeal for the environment. However, despite all of this, when it comes to replacing plastics there are still challenges that need to be overcome. Some of these include: the high cost of production caused by inadequate availability, the high cost of raw materials, a limited availability of good fibre, as well as technological obsolescence. Further, major industries such as fresh and frozen foods, dairy, pharmaceuticals, beverages, snacks, and confectionery, have been severely impacted given their current extensive use of plastic packaging. It is also evident that both the organized and unorganized sector are engaged in the packaging industry. Within the organized sector, SMEs that have been producing plastic packaging cannot quickly switch to paperboard and require time to do so. Thus, the plastic ban has adversely impacted sales and jobs in this sector. Many enterprises have also had to take up loans even though don’t have easy access to financing and funds. So despite the paper and paperboard markets growing rapidly there are still obstacles issues surrounding expansion of capacity. Regarding the paper industry, it too has its challenges given the overall fragmentation of the market, which is served by around 500 various-sized mills. Further, the capacity for paper production has slowed down primarily due to a shortage of its key raw material – pulp wood. This is coupled with the rising prices of local waste paper. However, though this has been partially mitigated by renewed agroforestry initiatives, the industry has regularly requested for a policy to be implemented that allows access to degraded forest land for paper mills to raise pulp wood plantations for sustainable development. This, unfortunately, has yet to be undertaken. In 2017, paper companies did not undertake price hikes due to factors such as competition from imports, stabilization in wood prices lower power, and fuel costs but by FY18, domestic paper prices had risen marginally. In terms of supply there is a shortage of paperboard packaging and a study suggests that the paperboard segment will face a shortfall of 12.5 lac MT. However, this supply deficit will mostly help players who are self-sufficient with raw materials and have cost optimization plans. It will also benefit major players in the industry who are using cash whilst adversely affecting the unorganized and SME sectors. The shortfall in supply will also cause delays and disruptions in distribution and the delivery of goods produced as there is a lag for sufficient quantities of paperboard packaging material to enter the market. However, on the plus side, this may result in opportunistic price rises within paperboard packaging materials, that in turn, will raise the costs of goods overall. It is clear that as technologies develop and more companies understand the reasons behind omitting plastics and looking towards alternatives, paperboard usage will increase. Though nations have adopted other materials at different rates and speeds, there has been a concerted effort on the part of governments, businesses, and environmental groups to push for steps to move away from plastic usage. It still remains to be seen whether current global conditions have already been too adversely effected to reverse the process but the increased move towards paperboard can only be seen as a positive sign. Most business today have customers spread across vast geographical area even within the country, if not internationally. Hence for success of any business, it is important that the product reaches its customers unharmed, in timely manner and at a reasonable cost. If this does not happen, the business will fail, even if it has a great product. Now imagine that a company has to ship a large package across the Atlantic Ocean (Say from the USA to some land lock country in Europe). For it, the business has to first send it to the port via truck then choose between air or sea route to cross the Atlantic. Further, it must get the product onto the ship or aircraft, (after clearing all the customs and regulatory requirements), get the delivery at the landing port across the Atlantic, clear the customs of the landing country and then again move the package by road (or another means) to the customer. For a small business, this is very daunting. This is where freight forwarders come in. What is a freight forwarding business. A freight forwarder is simply a business that arranges the movement of the goods for a customer from the manufacturer to the end distribution point, or to the end customer. They are the intermediary between the business and the point of delivery (end customer or distribution point). They do not move the cargo themselves; they arrange for the shipment to be picked up, transported through various modes and by different transportation providers, customs and clearing houses till it reaches the endpoint. They specialize in coordinating between various such agencies for minimum cost and speediest movement of cargo. In a way, they orchestrate between multiple service providers. They have established relationships with transporters, ocean liners and the likes, which they use to negotiate the best possible price for their clients. They use their relationship network to identify the shipping options, find the standard shipping routes and cost associated with each and select the best possible combination of available options for the shipment. All these tasks may look as formidable or complex for a simple business who just wants to get his product across, to the customer. The freight forwarders generally offer a few more associated services required for the freight, which require specialized skill which may not be available with the business. Packaging. If the cargo is going to be loaded and unloaded at several points, it needs robust packaging that can take rough handling. If the cargo is taking sea route, then the packaging must protect the cargo from sea corrosion. When shipping through air, the low air pressure and low temperatures may be a cause of concern for some of the products, and they will need sealed packaging for same. Many such specialized packaging requirements come with the transportation and other logistical options. Since freight forwarder understands the requirements and risks associated with the chosen mode of transport, they also provide (usually), the packaging that is most suitable for that mode of transport. The shipper does not have to manage additional packaging needs. This is most helpful, when there are several types of products destined for several locations with multiple modes of transportation. Type and quantity of product. The freight forwarder would generally know the labeling requirements and can fulfill them more easily and precisely. Bill of Landing. The contract between the shipper and the owner of the goods. Customs documents. To ensure that product can be legally sent out from the origin country and received at the destination country and is not prohibited by either of the countries. Freight forwarders typically don’t have any capital equipment of their own. But the service they bring in can be quite valuable even for established players. They run the supply chain show, holding all the thread of various sections of the chain. The business can leave all the transportation and its related handling, packaging, documentation and other requirements to be handled by the freight forwarder and focus on what they do the best, That is making a quality product. More and more businesses are using third-party logistics service providers. Building an in-house supply chain is expensive, slow and a learning process riddled with mistakes. On the other hand, outsourcing the supply chain is efficient, quick and adaptable. The benefits of using 3PL are more than just reduced initial capital outflow or getting expertise. With ever-increasing competition, businesses need to focus more and more on their core activity and reduce or divert resources from non-core activities while extracting the best out of them. Managing supply chain is one such activity that can be efficiently outsourced. In fact outsourcing such non-core activity can be strategically beneficial in the long run for a business. Here are a few advantages that a growing business can get from outsourcing its logistics. Scalability – Building a supply chain requires time and investment. Underutilized supply chain represents locked capital which is bad for a growing business. On the other hand, peak utilization limits the growth that operations can achieve. However, with outsourcing, the supply chain capacity can quickly increased or reduced without much impact on scale. Quick scalability is one of the biggest advantages an outsourced supply chain can offer to a growing business. Third-party providers are geared to scale their operations depending on their client’s requirements. They invest their capital in spare capacity and clients don’t need to make any capital investment. Further, if the scale of operations reduces for a client, the extra capacity is simply sold to another customer with no impact on the first client. 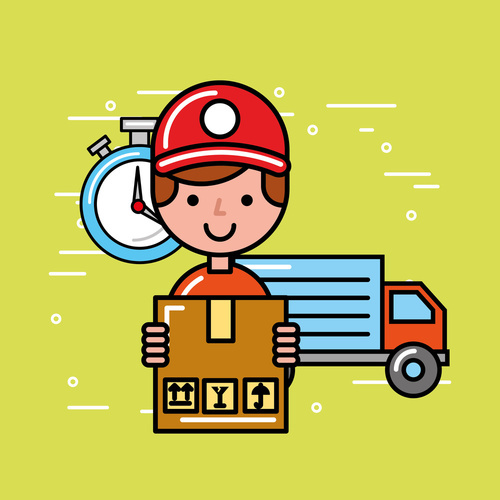 Optimization – Logistics is frequently about optimization of the resources such as packaging, transportation, route and delivery time for most efficient use of resources with minimum time. This planning and coordination requires special skills that are expensive and hard to find. Further using the skilled and costly planners only for one business may not be the cost-efficient. 3PLs bring in planning and optimization as their core skill. They plan for most optimal warehouse locations, delivery modes and routes and club cargo from multiple clients to bring the costs down. High priority deliveries are also clubbed together to bring down their costs (as compared to individual high priority delivery). This degree of optimization is difficult to achieve for a small business without significant investment and dedication of resources, which can burn quite a hole in the pocket, as the company grows. Constant innovation – Supply chain requires continuous innovation in terms of packaging, equipment, processes and even transportation vehicles. For example, newer material for pallets keeps making them stronger and lighter, new methods of merchandise scanning makes tracking more efficient, more modern robots make stacking and picking of products much faster and more comfortable. Similarly, new transport vehicles (newer trucks) keep reducing the cost of transportation. The problem is that all such innovation requires an upfront investment and business cannot make any new investment until ROI from the previous investment is realized. But with higher utilization, 3PL have faster ROI cycles and can bring in capital-intensive innovation much quicker. Besides logistics being their core business, 3PLs thrive on constant innovation in supply chain to reduce costs and improve service. 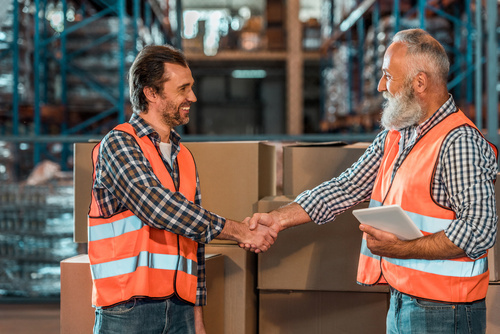 Quick movement between supplier – While it is a good idea to maintain long relationships, business realities sometimes require to change the vendors. This need for change could be for many reasons such as better rates, larger scale of operations, wider network spread, or simply a kind of service that is not being offered by current supplier (even today many 3PL suppliers do not offer cold storage chains). As the business grows, the supply chain requirements will also change. The scale of material handling will increase. The variety of products being sold will also increase, and this will need different logistics skills. In house logistics department will need time to change and may even put up resistance to change. Improving the skill set of the whole department is not possible in a matter of few days (or even few weeks). But changing supplier is just a matter of negotiation (apart from identification of-course). The business operations are not vastly disrupted while the change of supplier happens. As is well known, changing or upgrading a department of the business is extremely slow and tiresome process, but changing a vendor is easier. Lowering of Costs – Development of supply chain needs space, warehouses, packing machines, moving and stacking machines and vehicles (as large as up to trucks and lorries) making them capital intensive investments. Also, logistic operations are equally expensive, if not more. Many times, the supply chain capacity is not fully utilized leading to a high wastage of money. The 3PL absorbs the capital investment and can depreciate the equipment much faster owing to its higher utilization. The capital cycle (for supply chain) is much more efficient for 3PL as compared to in-house supply chain investment. There is no doubt that unless the volumes are huge, 3PL makes a lot more sense regarding costs and investment for any business. Further, as the product moves through regions, various agencies or external companies come in picture. A product moving across the border will interact with customs, excise, clearance house, export regulators. Businesses need working relationships with all of them for its cargo to move quickly and efficiently through these agencies. Developing and maintaining these relationships needs resources which cost money. As business volumes grow, the interactions with agencies also increase and need more resources. A 3PL maintains these relationships for its customers so that the businesses do not have to it themselves, and they do it more efficiently. Developing supply chain is a slow and costly process and often requires changes that are expensive. As the business grows, the inefficiencies of the supply chain start to glare out. The growth phase is precisely the time when companies need an efficient supply chain. An outsourced, third party supply chain will not only eliminate the inefficiencies, but it will also bring in innovation to handle the large volumes of growing business, that may provide the edge, that a growing business needs. A general logistics service provider or a specialized one- What to choose? The number of 3PL service providers is growing rapidly. There are many small and big specialized logistics service providers for almost every specific need and then there are providers who will meet all generic requirements. The challenge is which one should you pick for your business? The one who provides every kind (or many kinds) of service or a one who offers a specific type (or just a few kinds) of service. A wrong 3PL will either fall short of the requirement or eat into the capital eroding the margins of the business. Choosing the right sort of 3PL can make or break a business. So, the question comes: How does one select the right type of 3PL provider for his company. We will run through some parameters that can be used to decide the type of 3PL that a company should hire. Many times, new businesses don’t really understand their customers and end up with under-utilized resources at disposal and thus decrease their capital and cost efficiency. It may be wise for new businesses to start with generalized service providers and gradually move onto specialized ones as they grow their volumes and develop better insights into their requirements. Specialized expertise – Businesses today have to carve their niche to stay relevant in the market. Within groceries business, some specialize in fresh food products, while others specialize in quick delivery. In apparel, some may specialize sending multiple items and then return all except what customer wants to buy, while another may concentrate on quick delivery but with no returns. There may be yet another apparel business which may have carved a niche in ‘made to order’ clothing (this is delivered from factory to customer, directly without any warehousing). All these services need specialized 3PL skills that should be in-line with the business’s chosen specialization. One needs to ensure that the right logistics skills – as required by the business and offered by the 3PL are identified and matched to avoid any disaster. Costs – If a business provides an excellent service but incurs massive costs, it may not be able to sustain. Imagine, providing a rush delivery as standard for a $10 item (which has $5 margin ) and absorbing a $5 delivery charge for it. The customers will love it, the volumes will be huge, but this kind of delivery charges will eat up all the margins. Contrary to the popular wisdom, the high volumes will kill this business. Logistics costs are of great importance to any business and must be kept under control at all times. If they cannot be passed onto the customer, they must form a small a part of expenses, as possible. Here again, there is no saying which type of 3PL will be better suited. Spending $5 on the cold delivery of $10 or $15 grocery (e.g., vegetables) may not be sensible. But if you have a truck-full of deliveries of vegetables, then the specialized cold delivery chain will be more cost efficient, and the value proposition will be higher. Volumes – If a business has larger volumes, it makes sense for it go for specialized 3PL provider. With high volumes, it is possible to cut a deal with the specialized 3PL provider for getting good rates. For smaller quantities, one may want to settle with a general service provider. However, today many specialize players club the delivery from multiple vendors to increase their utilization. A new trend is emerging where multiple businesses join hands and negotiate with 3PL providers to get better value for each one of them. The decision to choose a 3PL provider is never straightforward. Multiple factors need to be borne in mind before making a choice. As a general rule of thumb, it is recommended that one should start with general provider and move to the specialized one as the business grows and there is clarity of requirements. A key advantages of choosing a general service provider from the start is that as the business grows, the service provider’s volumes also grow and he will make investment specifically for your growing needs. This, in turn, makes him specialized provider for your requirements. In fact, he would develop services for your specific needs making it a strategic fit for your business. Industries usually deploy co-packers for outsourcing some of the more intricate secondary packaging needs; thereby making the commodities shelf-ready. Lately, this concept has attracted a lot of attention courtesy its massive presence in the food and pharmaceutical market. While it easily improves the operational efficiency, there are a host of other benefits that come along with a co-packing service. However, before enlisting the benefits associated with a co-packing service, it is important to visualize the impact of a contract manufacturer when it comes to handling the product aesthetics and customer satisfaction levels. We all know that companies emphasize massively on the manufacturing process but it’s the packaging that helps spread the word. This critical marketing component, therefore, needs to be prioritized by bringing certain reliable contract manufacturers into the mix. That said, majority of SMEs are constantly vouching for efficient co-packers, in order to gain a competitive advantage. There are several food and pharmaceutical businesses that are restricted in terms of infrastructure and therefore fail to experiment with diverse packaging options. Co-packers offer them flexibility as they can easily outsource these services; thereby leveraging a host of innovation packaging techniques. While it allows businesses to work without having a dedicated packaging arena, it also helps them save a lot of money. Lastly, improved flexibility also helps boost company credibility and product image. Taking care of the packaging requirements is quite a tricky job. However, businesses need not worry about the same as a contract manufacturer can easily handle the more intricate aspects of secondary and even primary packaging. Be it involving qualified staff for doing the job or facilitating the inclusion of high-end production facilities— an efficient co-packer can handle each aspect without putting undue stress on the concerned business frameworks. With majority of business verticals handled in the best possible manner, the company starts making a lot of profits while saving on a lot of investment— all at once. The concept of seasonal packaging is surely investment intensive. However, if done right, seasonal packaging can be extremely cost-effective in the long run and this is where contract manufacturers pitch in. Co-packers handle these aspects of packaging by taking care of short-term necessities. The entire process of manufacturing thrives on the quickest possible output and this is what co-packing services usually boast of. With the products manufactured at a steady pace, it becomes important to pack and send them out, at the earliest. Companies that have a contract manufacturer to work with can roll out supplies faster than some of the contemporaries, which in turn help improve customer satisfaction levels. Once a company starts outsourcing co-packing requirements, the existing workforce automatically gets downsized. This, eventually, lowers the existing costs pertaining to the upgraded machinery, maintenance and even employee training. Once in-house facilities are eliminated and the packaging requirements are outsourced, it becomes easier for the companies to concentrate on the process of manufacturing. This actually improves overall efficiency and helps minimize the associated clutter. Not just the packaging processes, a co-packer can also help improve the manufacturing whereabouts by offering services like contract sewing, bar coding and thermoforming. Once these attributes are included within the scheme of things, it becomes easier for companies to optimize certain intricate manufacturing processes. Apart from that, businesses can also fine-tune the existing manufacturing processes with the more complex ones taken care of. Majority of manufacturing, packing and rendering services need a sustainable environment to thrive. With Co-packers at the helm, food and other SMEs can easily inculcate sustainable approaches into the mix while also giving attention to profitability. However, there are companies which install their own packaging firms; thereby putting a lot of undue pressure on the existing processes. A co-packer can therefore render sustainability and extremely user-friendly solutions to the businesses without burdening them with financial stress. Most of the co-packing companies offer customized solutions to the businesses which typically concentrate on consumer packaged goods and other forms of food packaging. Contract manufacturers or rather contract packagers specialize in these aspects and they skillfully handle most of the concerned requirements while taking care of the labor and even automated machines.